Spacelabs’ central monitoring and alarm management systems provide detailed views of any patient on the network, including bedside monitors, telemetry transmitters, and wireless transport monitors. 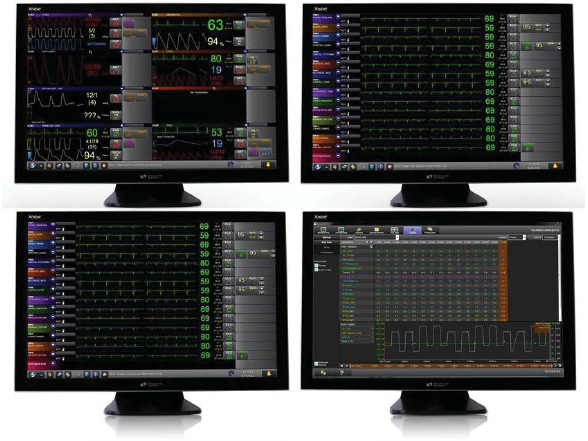 Full disclosure, PACS, and more can be viewed with Xhibit utilizing Intesys Clinical Suite (ICS). Xhibit XC48 Central Station allows you to easily monitor up to 48 patients utilizing one to four high-definition displays. Easily adjust which patients are viewed on each display and the acuity of their monitoring with highly customizable views. 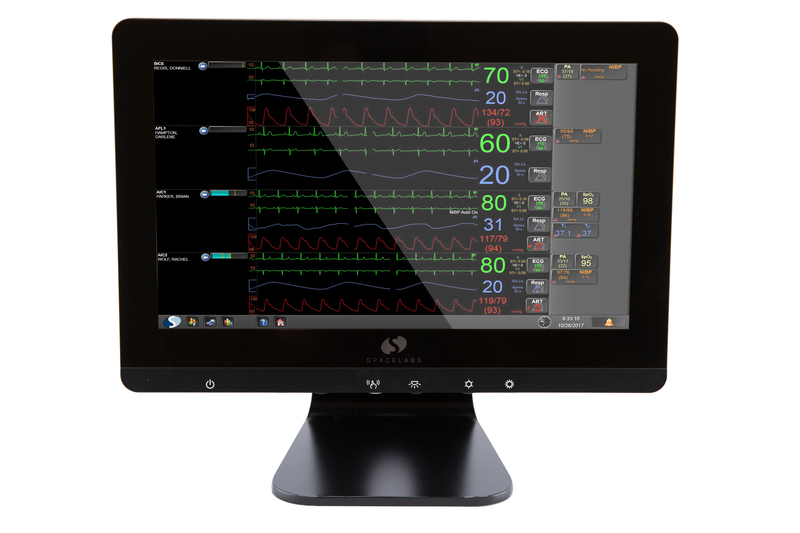 For additional flexibility, the medical-grade Xhibit XC4 enables central monitoring in the patient vicinity.